Cloth tiger has a variety of forms. 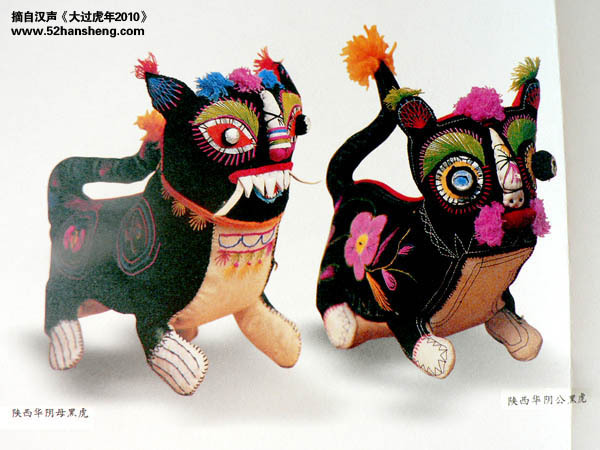 There are single-headed tiger, double-headed tiger, four-headed tigers, mother-and-child tiger, pillow tiger, tiger sets, etc..
Materials and processes in producing cloth tiger can also be different from each other. The most common ones are made to shape with cotton, silk cloth, and then loaded with sawdust or bran inside. The outside depicts a tiger’s facial features and patterns with various methods such as painting, embroidery, cutting, pasting, and patching. Cloth tiger usually have big head, large eyes, large mouth, and big tail to highlight their courageous demeanor. 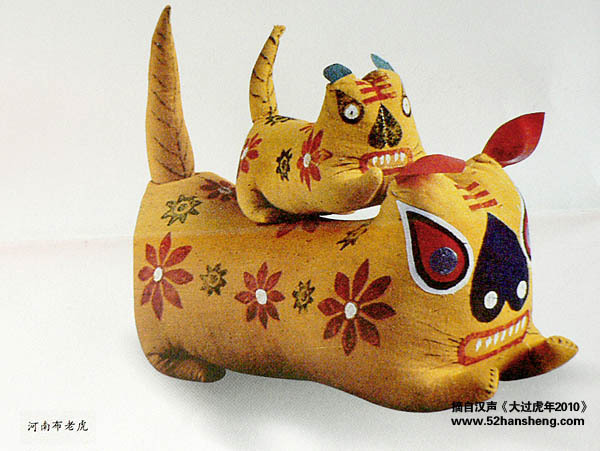 Tiger-head and facial features are often naive and childlike, just like the innocence of lovely children. 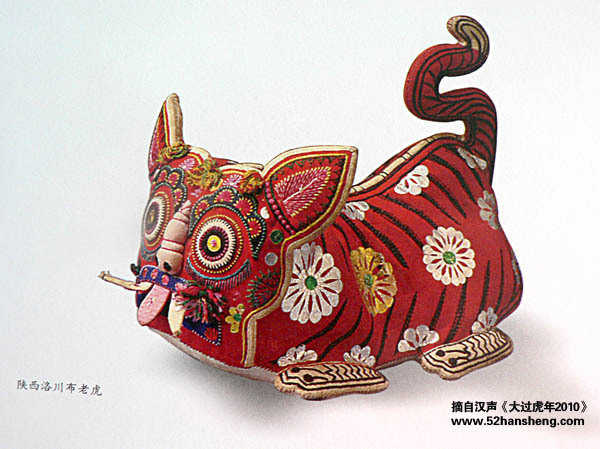 In addition to the Dragon Boat Festival, on the Spring Festival, Lantern Festival and other festivals, as well as newborn baby’s “3rd Day Bath”, “Hundredth Day”, 1st birthday, 2nd birthday, etc., people often make various forms of cloth tiger, with the same blessings and wishes. 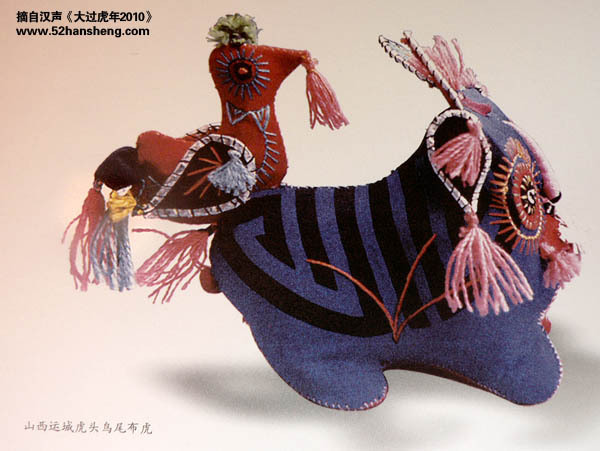 52hansheng.com has 30 beautiful images of cloth tiger. I selected 4 here. You can view more at the original posts. They look so cute, aren’t they?